At Stainton School, we encourage each child to develop their curiosity and question the world around them through the Science curriculum. To instil scientific confidence in children and to inspire future generations of young scientists, we need to spark their imagination and fuel their curiosity with hands-on, experiential science. From Years 1-6 children build up their skills of scientific enquiry. Science builds the foundations for understanding the world through the specific disciplines of biology, chemistry and physics. Science has changed our lives and is vital to the world’s sustainability, and all pupils are taught essential aspects of the knowledge, methods, processes and uses of science. Children are taught to work scientifically, through a range of scientific enquiries linked to each discipline. These types of scientific enquiry include observation over time; pattern seeking; identifying, classifying and grouping; comparative and fair testing (controlled investigations); and researching using secondary sources. Pupils are encouraged to answer scientific questions through collecting, analysing and presenting data. Children are given opportunities to develop their scientific vocabulary and technical terminology and are supported to apply it confidently, accurately and precisely to explain their findings and results. They apply their mathematical knowledge to their understanding of science, including collecting, presenting and analysing data. Through building up a body of key knowledge and concepts, pupils are encouraged to recognise the power of questioning while adopting a role of inquisitive investigator. With this, they develop a sense of excitement and curiosity about natural phenomena. We aim to make science enjoyable and exciting for our pupils. Our curriculum follows the New National Curriculum with Science being taught discretely and with some links to topic work, while additionally applying writing, maths and art skills where appropriate. This is an overview of the Science curriculum and demonstrates how the key science areas are taught and built upon in progressive years. Please look at year group termly overviews to find which units are being covered and when. All lessons incorporate key skills as well as subject specific skills. Science taught in Reception is taught using the Early Years Foundation Stage guidance. Please see the link for EYFS. The main focus of science teaching in Key Stage 1 is to enable pupils to experience and observe phenomena, looking more closely at the natural and constructed world around them. They should be encouraged to be curious and ask questions about what they notice. They are helped to develop their understanding of scientific ideas by using different types of scientific enquiry to answer their own questions, including observing changes over a period of time, noticing patterns, grouping and classifying things, carrying out simple comparative tests and finding things out using secondary sources of information. Children begin to use simple scientific language to talk about what they have found out and communicate their ideas to a range of audiences in a variety of ways. 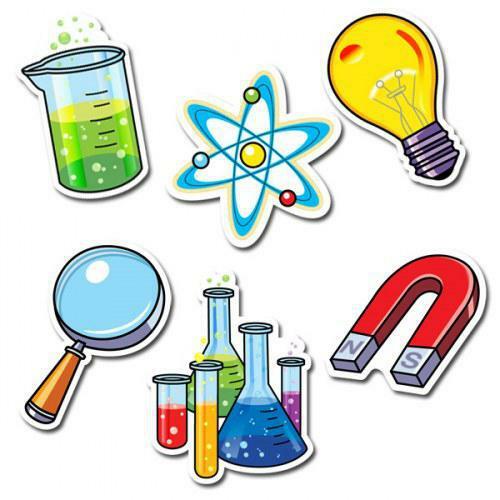 Most of the learning about science is done through the use of first-hand practical experiences, and through the use of appropriate secondary sources, such as books, the internet, photographs and videos. Pupils read and spell scientific vocabulary at a level consistent with their reading and spelling knowledge at Key Stage 1. The main focus of Science teaching in Lower Key Stage 2 is to enable pupils to broaden their scientific view of the world around them. They do this through exploring, talking about, testing and developing ideas about everyday phenomena and the relationships between living things and familiar environments, and by developing their ideas about functions, relationships and interactions. They are encouraged to ask their own questions about what they observe and make some decisions about which types of scientific enquiry are likely to be the best. Different forms of scientific enquiry are: observing including observing changes over time, noticing patterns, grouping and classifying things, carrying out simple fair tests and finding things out using secondary sources of information. They draw simple conclusions and use some scientific language, first to talk about and, later, to write about what they have found out. Pupils read and spell scientific vocabulary correctly and with confidence, using their growing reading and spelling knowledge. The main focus of Science teaching in Upper Key Stage 2 is to enable pupils to develop a deeper understanding of a wide range of scientific ideas. They do this through exploring and talking about their ideas; asking their own questions about scientific phenomena; and analysing functions, relationships and interactions more systematically. At Upper Key Stage 2, they encounter more abstract ideas and begin to recognise how these ideas help them to understand and predict how the world operates. They also begin to recognise that scientific ideas change and develop over time. They are encouraged to select the most appropriate ways to answer science questions using different types of scientific enquiry, including observing changes over different periods of time, noticing patterns, grouping and classifying things, carrying out fair tests and finding things out using a wide range of secondary sources of information. Pupils draw conclusions based on their data and observations, use evidence to justify their ideas, and use their scientific knowledge and understanding to explain their findings. Pupils read, spell and pronounce scientific vocabulary correctly.